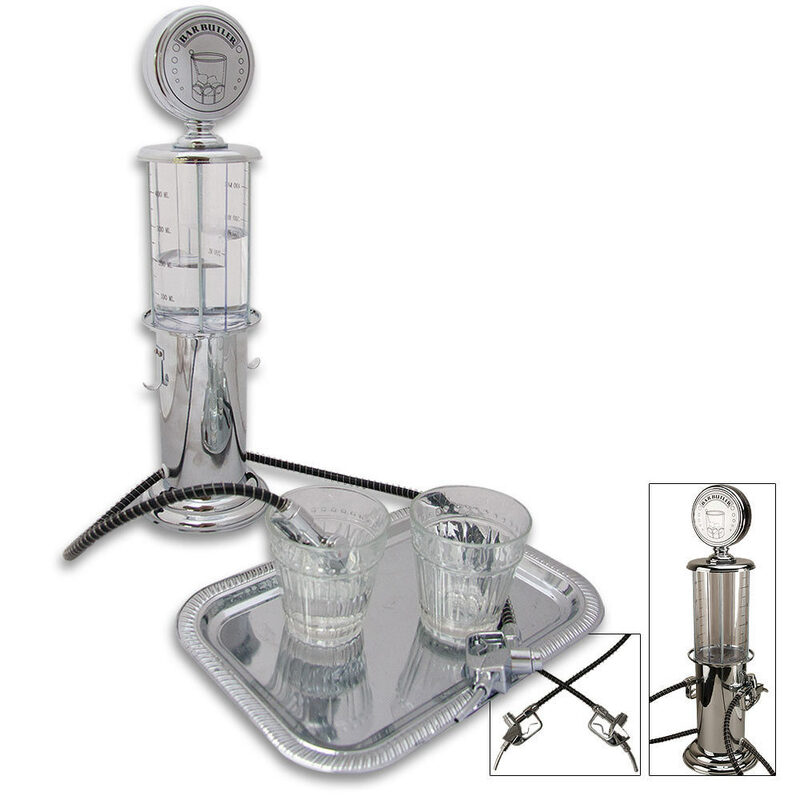 This antique gas pump replica beverage dispenser can hold 1-quart of 2 different beverages at the same time. It features a silver tone ABS body. Use to make mixed drinks with style. Measures 5 1/2 in. x 19 3/4 in. x 5 1/2 in. Drinking glasses and serving tray not included. plastic, but it works, and it looks good in the garage. and the semi stiff stubbornish pump lines loosen up with a warm wash and some summer heat.